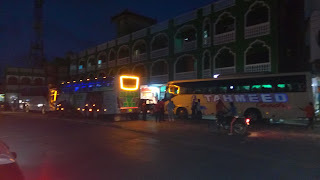 This is to inform the general public that there would be a change in travel to all buses in the country following a night travel ban by the NTSA Boss. The ban comes after a fatal crash between a bus and a trailer at Migaa area between Salgaa and Sachangwan at around 0200 hours. The accident claimed the lives of over 30 people with several other casualties receiving treatment at Molo Hospital and Nakuru General Hospital. This accident follows after one of Modern Coast bus had an accident some weeks at Sachangwan among others. According to NTSA, it is believed most accidents occur at night hence the need to impose the night travel ban to all PSV's effective today at 31st December. This move will hopefully help in reducing the number of accidents in the country. We condole with the families of all that perished during the accident. We advice all our drivers to drive cautiously during this January rush period. To all the travelers, please comfirm with your relevant bus companies on the exact date and time of travel as it will affect most if all the night travelers. Journey Mercies and Have a Blessed New Year 2018.